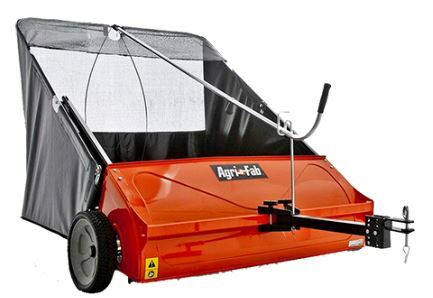 The Agri-Fab 26″ Push Lawn Sweeper is manually pushed around your lawn as you would use a lawnmower. The 26″ push lawn sweeper does the job in half the time compared with using a garden rake. 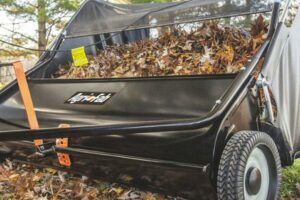 It’s easy to push, and it uses a set of 10″ brushes that rotate 4.5 times per wheel rotation, and the brush height is adjustable so that you can get it to snap up any leaves in its path and throw it into its 200 litre container as you glide along most surfaces, including gravel and mulch. The 52″ Pull Lawn Sweeper weighs about 38kg and is towed by your tractor lawn mower (using a nice and easy hitch connection). These have an easy to use pull-to-dump lever so you can just give it a yank and drop all the collected debris in the one spot for mulching, composting or dumping. Here’s a home-made video somebody recorded of the Agri-Fab pull lawn sweeper in action. It has the same concept as the push lawn sweeper. The main differences are that it uses semi-pneumatic tyres for better traction, and its effective area is twice the width of the push lawn sweeper. It also has more than three times the capacity with its 708-litre container. The 44″ Smart Tow is another pull lawn sweeper. Aside from being slightly narrower than the 52″ Pull by 8″, it has an updated ‘Smart’ design which prevents it from occasionally skipping. It also has a 708-litre container. This means that the sweeper almost always rakes up the leaves,p so that you don’t have to go back over an area. One of the key advantages of the 44″ Tow Smart is that it allows you to cut grass using the mower and sweep at the same time so that you can get the job done in one go. The hitch system also works in a way that helps avoid obstacles. I hope that this explains how Agri-Fab Lawn Sweepers work and shows that they are much more effective than using a manual garden rake. Especially if you have a medium to large sized garden. If you have any further questions or would like to order, please don’t hesitate to call us on 021-4965132. Agrifab SmartLINK accessories are perfect for homeowners looking to create beautiful garden lawns. These attachments are quality and durable products which can be fitted onto all types of tractor mowers. SmartLINK attachments are made with the very best components which make the job of lawn care quick, easy and long-lasting in your garden. 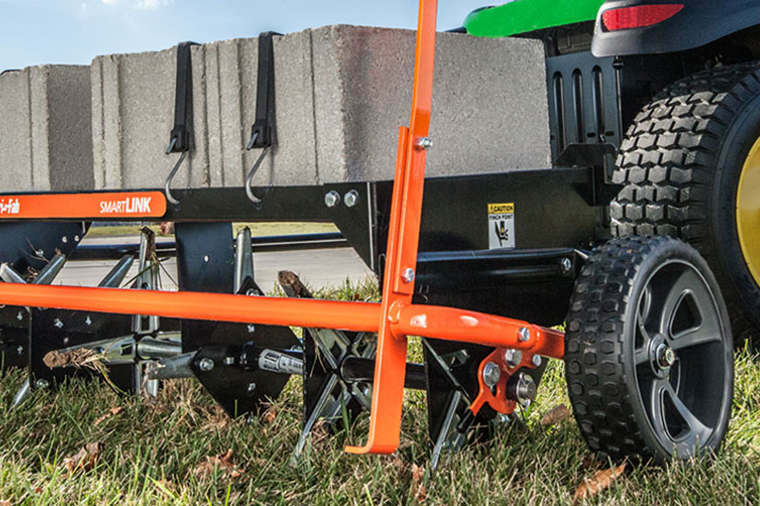 Here are 3 SmartLINK accessories that will make your garden lawn better. Upkeeping your lawn is an essential part of home gardening. By searching for new pieces of garden maintenance equipment you will ensure your home looks even better. Successful results come from using the best attachments available. If you would like to find out more about our accessories to improve the appearance of your lawn, visit us online today or call us now on 021-496-5132. Gardening is a lot of tough work. It is so rewarding when you see the results of your garden lawn looking more beautiful and healthy. If you’ve been putting off gardening because the thought of upkeeping your garden lawn seems overwhelming, fear no more because we have the solutions to make gardening easier for you. Here are 4 Agri Fab accessories that will make your garden lawn better. If you’re looking for that ‘perfect’ lawn, a lawn roller can go a long way toward to achieving this goal. Using a garden roller is one of the easiest ways to make your garden look fantastic. These accessories are like small steamrollers that you can push or pull across your lawn. They help level and flatten the soil to promote stronger root growth which improves the overall appearance of your lawn. Liquid fertilizers, pesticides and herbicides are effective for lawn applications. Lawn sprayers control harmful insects from attacking and damaging your lawn. There are some insects that are actually good for your lawn. With these tools, you will be able to manage harmful insects and diseases that can affect the health and appearance of your lawn. Sprayers are perfect for spraying large areas, carrying a great amount of liquid and a consistent application rate. Lawn spreaders will help you maintain a healthy lawn. These tools will equally distribute lawn care products needed for your lawn to thrive. With such equipment, all unwanted elements on your lawn are prevented such as weeds, insects and diseases and uneven application of lawn care products. It is a helpful and efficient tool not only for homeowners and farmers growing plants and produce. Garden lawns tend to get compact over time. It is important to check your soil to determine if it is compact or not. The lawn needs aeration when the soil is hard. Lawn aerators will be able to make the root system access water, air, and nutrients easily. Brown spots on your lawn can be a sign that the lawn needs better aeration. A quality aerator will ensure a quality performance, therefore, making your garden better. Let’s be honest, gardening requires tough work and long hours. However, with these 4 garden accessories, you can make it much easier on yourself. To learn more about our garden accessories, call us on 021-496-5132 or visit us online today. 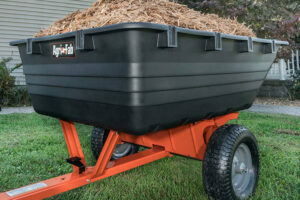 A spreader is a gardening essential that all homeowners should have to take care of their garden. If you want to keep your garden healthy, using a spreader is definitely one of the best ways to do so. Garden spreaders are pieces of equipment that will equally distribute fertilizer, seeds and any other products needed to upkeep and maintain the health of your garden. 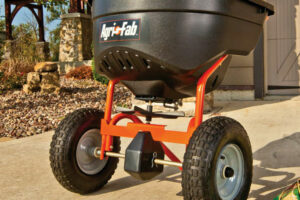 Therefore, you should really consider buying a top quality fertilizer spreader to get the most out of your garden. Fertilizer is to gardens as food is to humans. Plants that are well nourished and healthy allow great returns on foliage, grass growth, fruit and tubers. Having a healthy garden takes work and fertilizing is one of the key ingredients necessary to reap the benefits of a healthy garden. Here are the benefits of using garden spreaders. Fertilizing helps promote a greener, lusher lawn. The use of these pieces of equipment prevent all unwanted elements coming onto your garden such as insects, weeds, disease and uneven application of fertilizer. Spreaders make the application of spreading materials much easier and faster. Promotes new growth and allows plants to reach their maximum potential. Maintains the healthy parts of grass and plants. Fertilizing ensures plants are getting the right nutrients at the right time of year so they can withstand different seasons. 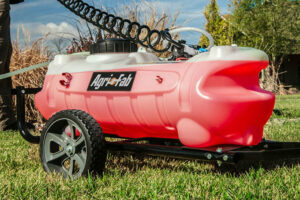 They provide an even application of fertilizer, seed and any other lawn products. Prevents uneven feeding due to an equal distribution of fertilizer. Makes the application process much easier and faster. Disease and infestations prevention on garden plants and crops. They promote precision gardening and farming. They increase soil production and health. Boosts nutrients in plants and crops. Fertilizers help crops and plants grow faster. Improves the health and overall structure of plants. Garden spreaders really benefit to a better, healthier garden. With their capability of providing proper application throughout your garden, you get to maintain a healthy lawn, plants or crops. Garden spreaders can be of different types where their function can also alter. To see our full range of garden spreaders, visit us online today. A garden lawn is what really beautifies a garden and the surroundings of a home. It is important to take great care of your lawn regularly and one of the best ways to ensure this is by using an aerator on your lawn. A lawn aerator is a tool which perforates soil with small holes in order to allow air, minerals and nutrients to penetrate the roots. Aeration helps the roots grow deeply, the grass to grow and as a result a stronger, more vigorous lawn. Here are 4 of the best aerators available for your lawn. The 40″ Spring Tine Dethatcher comes with 20 sprung-tines which are 3/16” diameter providing fantastic durability. This aerator will delicately and comprehensively tease-out any build-up of moss and thatch, allowing your grass to flourish. Its 40-inch working-width makes it easy to cover very large areas in very little time. The 40-inch aerator sits on a pair of 7″ x 1.5″ semi-pneumatic wheels which run smoothly over bumpy ground. It comes with a universal link-pin which aid the use with ride-on mowers. There is a simple to use cantilevered handle which makes it easy to raise and lower the tines and a 40″ weight tray which can hold up to 70 lb. This model is perfect for larger sized lawns. The 48-inch aerator comes with 24 heat-treated tines which will thoroughly get rid of thatch or moss on the surface of the lawn. Heat treated tines are incredibly durable and strong. One of the main features of the 48″ Spring Tine Dethatcher is its weight tray, it can hold up to 70lbs for more effective thatch removal. There is an easy-to-use cantilevered handle which allows easy lowering and raising of the tines for transportation purposes. Its 7″ x 1.5″ semi-pneumatic tyres ensure a smooth movement of the unit, even on the rough and bumpy ground. 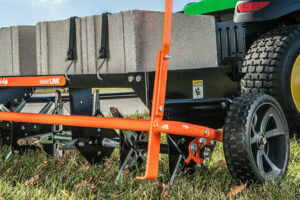 A universal link-pin is included to make it simple to use with tractor mowers. 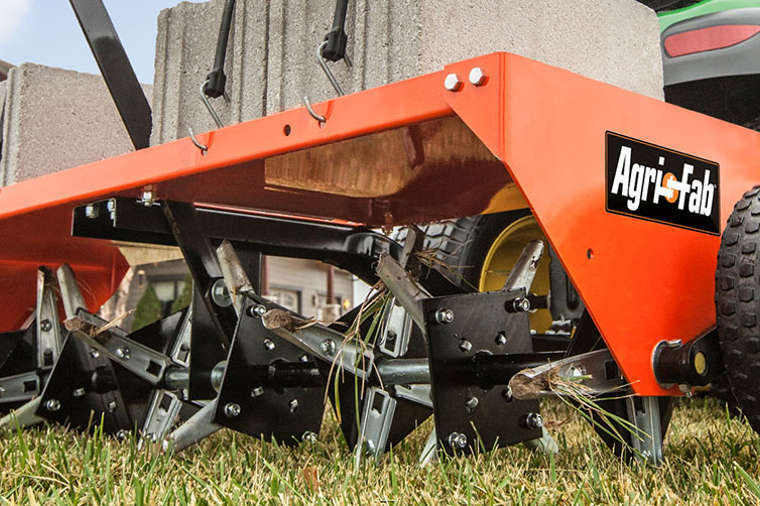 The 40-inch Spike Aerator aerates the largest of grass areas with great speed and efficiency. It has 10 sharply spiked aeration discs and it offers working-depth adjustment by way of a 102cm ballast-tray so you can be rest assured a thorough job will be done. Aeration discs come in the shape of a star to slice the surface allowing the aeration process to happen. It can be used in conjunction with any tractor mower due to its universal hitch pin. You can add up to 45kg of ballast to its weight-tray. This aerator is easy to transport and store as it is equipped with a foldable tow bar. The 48-inch Plug Aerator is best used when the moisture content of the surface is at its highest. It has 32 coring-points with four per-spool that remove ¾-inch plugs from the lawn. Its coring-points are produced from heat-treated steel, allowing them to remain firm under heavy loads. When this aerator is used you will be left with a beautiful, green-looking lawn. This model is able to penetrate the toughest soil-types thanks to its 140lbs weight tray feature. It has a 48-inch working-width, allowing you to cover a lot of ground quickly with each pass. It runs on wide-profile pneumatic tyres that provide traction and manoeuvrability. The aeration-spools can be raised with the cantilevered handle. The aeration-depth can be adjusted up to 3-inches to suit them and it comes with a universal hitch-pin is included making it suitable to use with all tractor mowers. If you are planning to buy a lawn aerator then do your research in order to find the one that possesses the most required features. The 4 lawn aerators listed above are highly recommended by the specialists. To learn more about our aerators, visit us online today or call us on 021-496-5132.